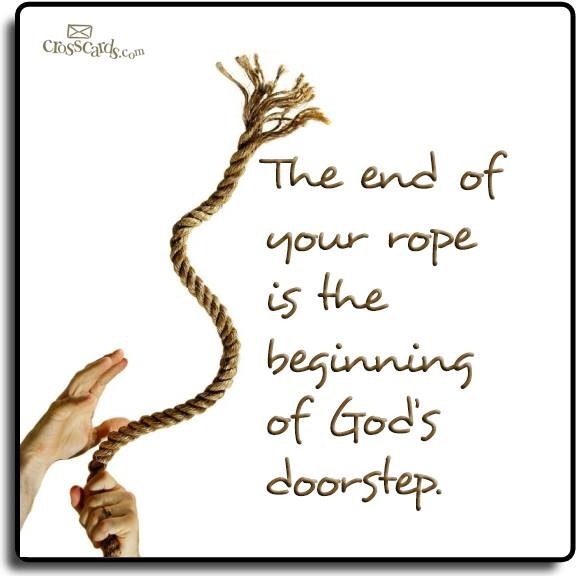 “Letting Go of the Rope” – Emily L. Pittsford….Author of "A Most Incredible Witness"
“I have this Emily, let it go”. “No” I said to God as the crocodiles in a pond, snapped at the air beneath me, “I can’t let go”. It was the same rope I was always trying to walk on. I prided myself in that I walked on a tightrope without ever wobbling between accepting something I disagree with. And with loving our daughter who is living a gay lifestyle. It was painful at best trying to never appear on either side of the rope. And now this rope felt like it was my lifeline. And I was supposed to let go? I held onto the rope trying to climb higher. “No, really, I have this. Let it go” God said. I held my breath and I finally let the rope go. And with that I floated in the air and was gently let down on the other side of the pond. God told me to not look back, so I walked away with my back to the scene feeling free, more free than I had in weeks. (If not years). After that vision I had a good nights sleep. My husband Bill and I were planning a birthday party for my 50th in San Diego. And our children weren’t coming. Our son Tim was twenty-six and our daughter Leanne twenty-seven. My husband had many conversations with our daughter, basically begging her to come. But that night she wrote “no” on the online invitation and I was devastated. All because of a little proposition. If you live in California you may have heard of it? It was prop 8. (For the rights of the voters to determine if gays could legally marry, vs the courts). At the time our daughter worked for the people that made gay marriage legal. And I had let it slip that I was voting for it to pass, so the law could be resended. Well, that didn’t set well with her. She was working in politics and was working against it, to keep gay marriage legal. So our rocky relationship was now an avalanche. 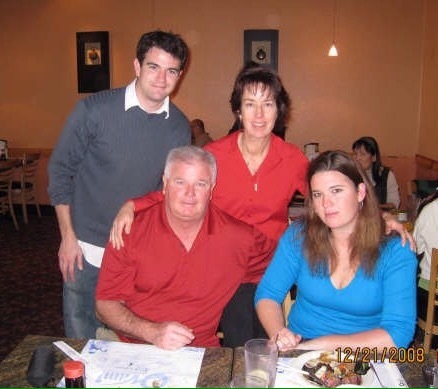 Our son Tim and her lived in San Francisco and he too wasn’t coming. And those two letters: “n-o” shot through me like a lightening bolt. And it stung. Bravery didn’t seem possible while I went upstairs and cried. Even with many bumps in the road, I was hoping Leanne and Tim would come. But God let me know I was not to worry. He was removing me from the situation. He had this and I was so grateful for the vision. (Not to say our children were the alligators). We had come down to San Diego the day before (we lived 2.5 hours away then) and spent the night at my husbands sisters house. The next day we loaded our van with some family and off we went to Onamis, which is in a mall. My fav restaurant, all you can eat sushi for a party at noon. There were family talking to me in the van, but all I could do was smile and nod. My babies weren’t going to be there. And it hurt, but I tried not to show it and make everyone believe, including myself that I was ok.
My phone rang at 11:45, and we were already in the restaurant. It was Tim…the mediator. His voice was much like Bills. No matter how mad I got at him, his voice always seemed to make it alright. My disappointment faded as he said he was sorry he wasn’t there, but wanted to wish me a ‘happy birthday party’ just the same. I confess…I kept listening for airport noises. There was still time to make it from our Lindbergh Field Airport to the Mission Valley Mall after all. But instead I heard children laughing. I inquired, and he said he was doing some last minute Christmas shopping at a mall. (My birthday is just a few days before Christmas). Oh…ok I said . I thanked him, and shared that I missed him and that I loved him as we hung up. More family started to arrive. I put on a brave face. At least one child called after all. I breathed a few deep breaths and was trying to make the best of it with our large wonderful family. When guess who sauntered in? Yeap…my children. I can still envision them slyly walking in. It was great that they decided to come to something, that especially Leanne didn’t want to be apart of. Bill lost it big time. He had to go away for a few moments. Tears ran down my cheeks as the hurt was replaced with gratitude. I hugged them tightly and was so thankful that they came. I had my babies with me…ALL DAY! It was a great day too. Awesome sushi and other food items for some of my non-sushi eating relatives. (Side note, they are not actually blood to me…which explains this phenomenon). And my next fav thing to do…bowling. Bill is not a fan (his finger can get disjointed) so as long as I get to pick…bowling it was. In the evening we took them to the airport but their flight was delayed. So with the extra time we chose to walk around Seaport Village, a tourist spot on the bay in San Diego. It was a glorious day! The only downside; was that I noticed weeks later that my bumper sticker that read “Yes on 8” was now gone. I never asked them about it, as it wasn’t worth it. But I didn’t feel the need to hire a detective either. I asked Tim how long they had had the airline tickets. He answered “a month”. I looked at him and spouted “turkey”. Ok, I confess I said something a little stronger, but this is a Christian blog. Have you ever surrendered something to God and then was rewarded by something better? Thank you Nannette! If it wasn’t for Lord healing I’d still be sitting on the sidelines with my arms crossed. God is in this one for sure! So much change in a few short years, Emily! I’ve seen anguish on your face, but it has been replaced by peace – and love! I am sure when I sent Leanne a YouTube father daughter dance, for her upcoming “wedding” she thought I had lost my mind. Though the event was canceled at least I knew I could’ve gone as I was being ambassador for Christ. But now I know God was actually preparing me so I could go to her seminars with over a thousand woman like her. Hugs Sue! Look at your beautiful kids and husband! What a great end to the birthday and a mama’s heart fulfilled. Thank you…I have been blessed with beautiful family. It’s a day I especially treasure now!